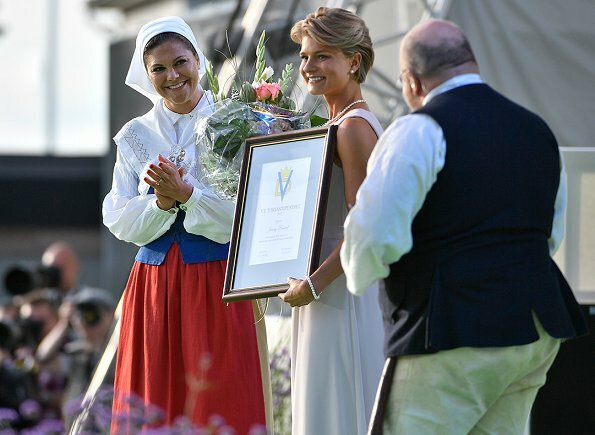 Crown Princess Victoria presented the Victoria Scholarship to Swedish cross-country mountainbike rider Jenny Rissveds. She won the gold medal in the under-23 mountainbike race at the World Championships in 2016. It looks like they had lots of fun! 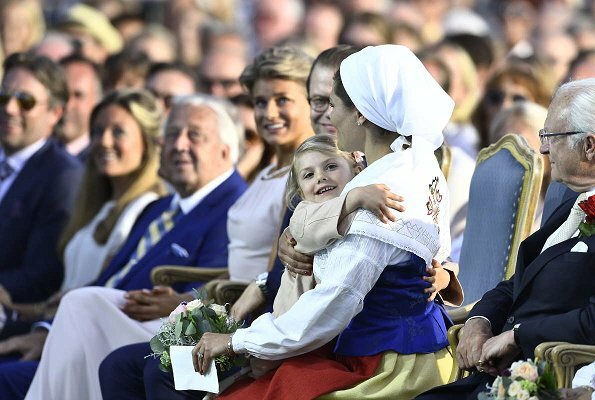 I saw some adorable photos somewhere else of Estelle hugging and kissing her mother, so sweet! My only question is, why are Victoria and Silvia the only ones who wear traditional dress like that? I wondered that also. It's appropriate then they should all wear it. It would have been cute for Estelle to wear it. Madeleine's dress is too frou-frou and why are she and Sofia wearing the same ugly shoes. On sale? 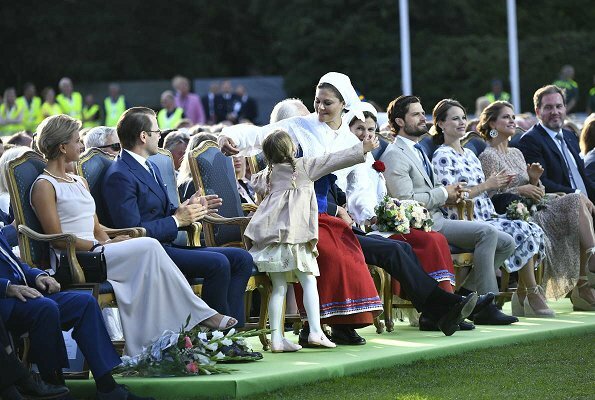 I suppose that Sofia doesn't fit into hers right now and thus Madeleine opted for a "civil" dress in order to make the ladies look more "balanced". Cute Estelle is certainly excited to go out with the grown-ups. 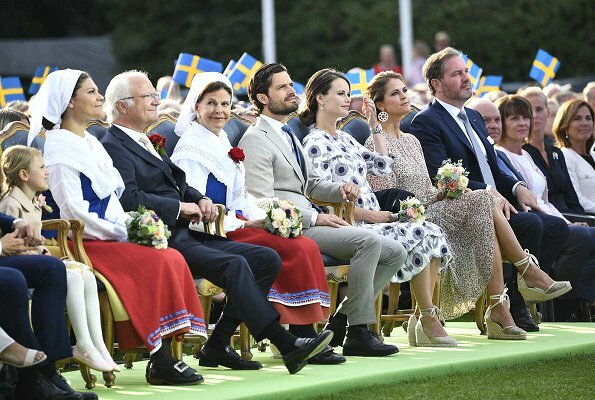 Maybe you're right about Sofia's not fitting her right now, but I don't think that's why Madeleine opted for a 'civil' dress. As for the shoes: maybe 2 for the price of one? Just kidding. Who is the young Lady with the white dress and short blond hair? Very beautiful. She could easily go through as a "Royal" like that. ;)Looks better than Sofia and Madeleine in their dresses. I can't see Prince Carl Philip's tight suits anymore. It looks so cheap. It is Jenny Rissveds, Swedish mountain bike cyclist. She is the recipient of the "Victoriastipendiet" a price/scholarship awarded by Crown Princess Victoria. And I cannot see his greasy hair anymore. The lovely blonde woman seems to be an Olympic sports woman who had received an award named after Victoria. I read this on another forum. And Vanessa, ha: I noticed a picture of Pippa Middleton's husband, now Mr. and Mrs. Matthews of course, at Wimbledon yesterday. Horrible jacket and trousers, 2 sizes to small and to tight too. But expensive. So, not only a "Scandinavian thing" about younger men's suits then... And, if somebody says, they had suits like this in the 60ies too: that's right. But people gained much more weight since that time. It mostly looks ridiculous today on the guys. ;) Love to you all! 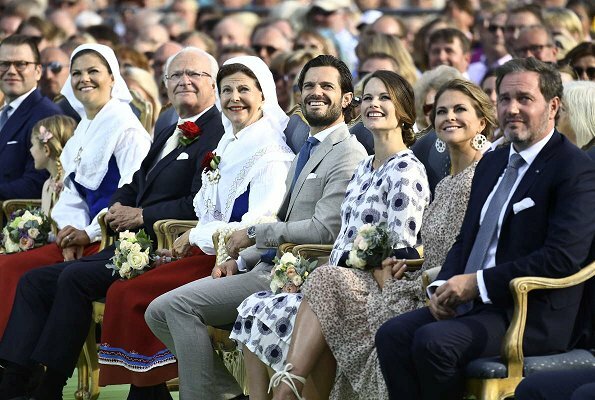 The recipient of the Crown Princess Victoria Fund award sits with the royal family next to Daniel. Last year it was a hockey player... and I agree, Carl Phillip's suits are terrible!! He thinks he looks good but he needs to stick to the classics. Daniels suit pants are not skinny but just right- CP should follow his lead. 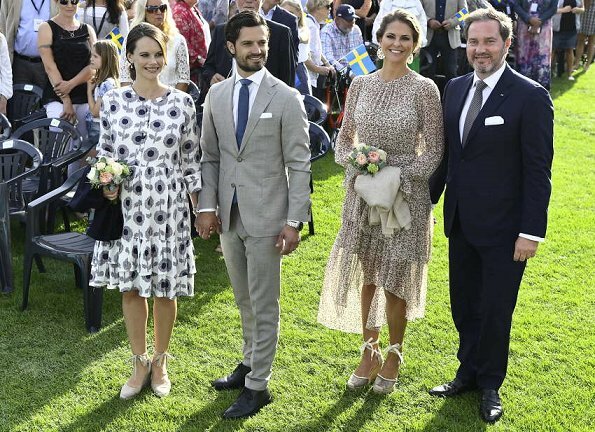 Daniel´s trousers are just as tight as Carl-Philip´s most of the time. It´s a Scandinavian thing. All the princes from the nordic countries wear those same skinny trousers, and they look equally bad on all of them. 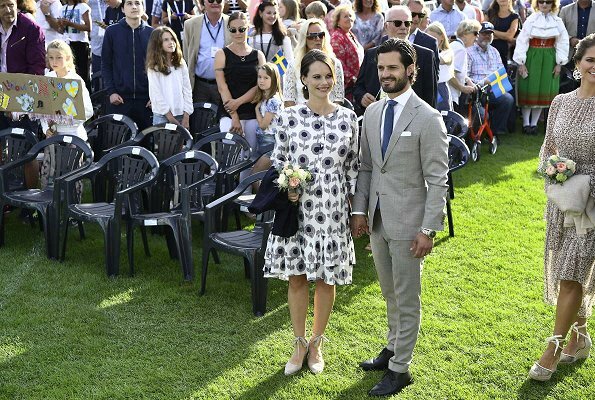 Carl-Philip´s suit is tight here as per usual, but it´s still one of his better suits if you ask me. The summery colour is a nice change. 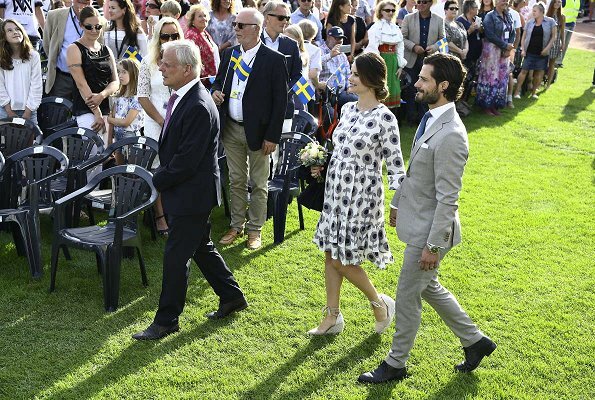 The Swedish king is EASILY the best dressed royal in Scandinavia, his clothes fit him impeccably, and he has a good sense of style. The younger folks should follow HIS lead. And then, all the men on the royal Swedish scene should get a proper hair cut. They all look ridiculous with their long slicked-back hair full of gel. Agreed on the haircuts.. much needed. 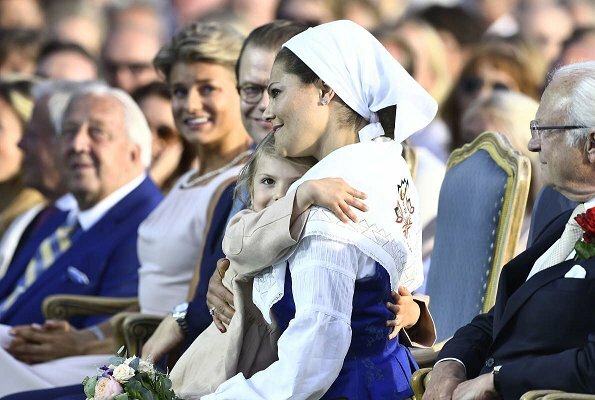 Does princess Madelaine and princess Sofia have same shoes? 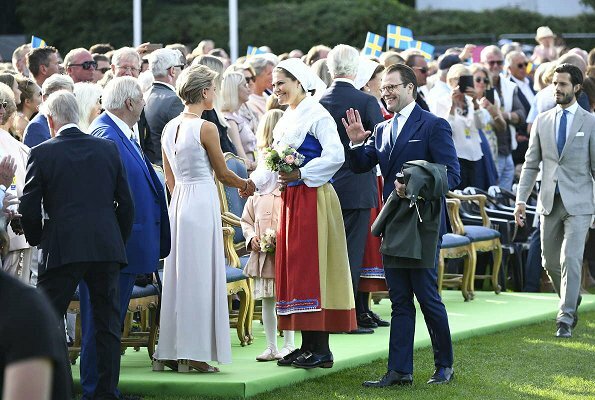 I really admire Crown Princess Victoria, her dedication and commitment to everything she does, be that in her role as Crown Princess, or as a wife and mother she does so earnestly and with such sincerity. Where are the ususal pictures from Solliden palace without national costumes? 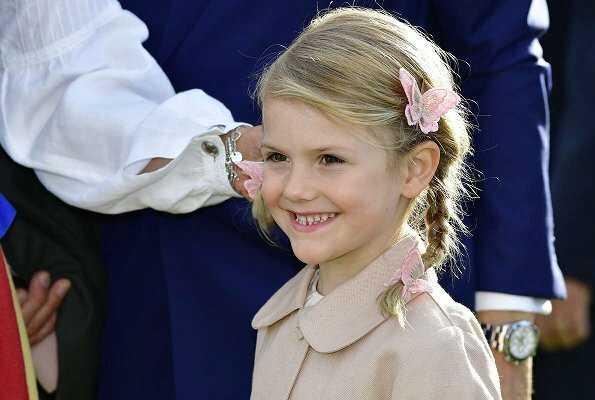 Princess Madeleine is gorgeous. Stunning lady. 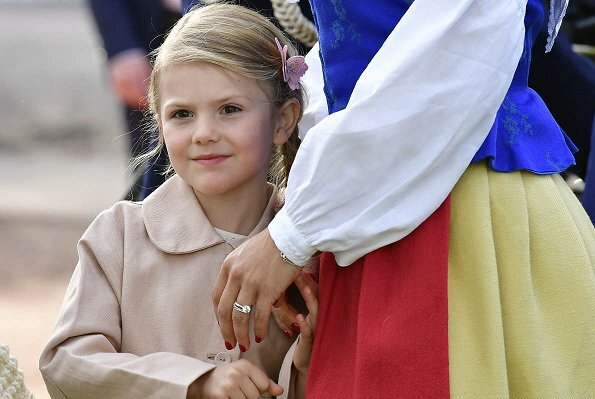 In my opinion princess Madeleine is still the most beautiful of them all. 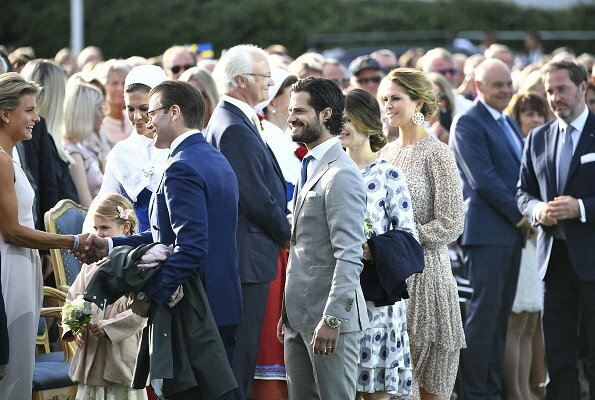 Princess Madeleine looks always so beautiful and her megawatt smile looks wonderful. I hope Chris knows how lucky he is.